The inscription carved into this crude wooden headstone memorializes little Amari Rose who lived but one day. 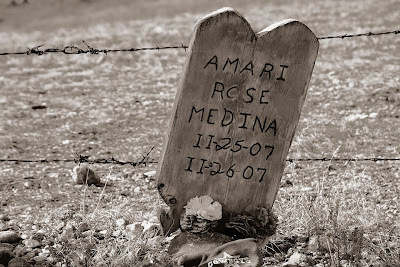 The tragedy of her loss is amplified by the lonely location of her grave at the top of a hill by a barb wire fence in a bleak New Mexico ghost town. And in winter as if for emphasis.